It struck some as surprising to assign Biden, the administration’s terribly underused but most effective inside-Congress negotiator, to spend the next few months leading a task force to catalogue what the nation knows about job training. Job training is an area of major U.S. government intervention, with roots that go back to the Depression-era Wagner-Peyser Act of 1933. Government’s role in job training has clearly grown stronger since the early 1960s through programs like the Manpower Development and Training Act of 1962, the Job Corps in 1964, the Comprehensive Employment and Training Act of 1973, and the Job Training Partnership Act of 1982 that replaced CETA. That said, does the U.S. need a task force to help the White House figure out what it should be doing on job training? To what extent is training the obstacle that has millions of Americans on the unemployment rolls or even out of the labor force altogether? The president suggested that the Biden task force might address on-the-job training, apprenticeships, and increased linkages to community colleges. Following the State of the Union, the President actually issued a memorandum initiating a “soup to nuts” assessment job training programs, making them more job-driven. “Let’s find what programs are working best, and let’s duplicate them and expand them,” the president said at an event at a General Electric plant outside of Milwaukee. There’s no question the president is aiming at boosting vocational education. “A lot of young people no longer see the trades and skilled manufacturing as a viable career, but I promise you, folks can make a lot more potentially with skilled manufacturing or the trades than they might with an art history degree,” Obama said at the GE plant, though he later amended his statement to note that he loves art history and finds nothing wrong with an art history degree. Republicans smirked that the General Accountability Office has already undertaken and published reviews of federally funded job training programs that work, such as reports from 2011 (here and here) reviewing 47 or so federal job training programs administered (as of FY2009) across nine agencies, as well as additional GAO reports on the Workforce Investment Act and training programs for green jobs, veterans, and the disabled, among others. However, the tenor of those reports was often on how to better administer them from a federal perspective, not necessarily addressing the president’s concern about “what works” from the perspective of employers with upcoming hiring needs. Nonetheless, is the indefatigable vice president going to find something that isn’t already in these GAO reports, isn’t readily available in the institutional knowledge of the experts at the Department of Labor, or isn’t widely known among the nonprofits that deliver job training and job placement services on a daily basis? The federal government delivers and coordinates the bulk of its job training programs through the Department of Labor’s Employment and Training Administration (ETA). For “dislocated workers,” there is training through Labor’s One-Stop Career Centers, linking job seekers to job training in their communities through “individual training accounts.” Adults can also become federally subsidized apprentices with private sector employers as carpenters, child-care specialists, dental assistants, electricians, truck drivers, and other careers within a list of some 1,000 career areas. There are still at least 122 Jobs Corps centers in the U.S. offering vocational and other training for at-risk youth between the ages of 16 and 24. What might Vice President Biden’s task force find? They might discover that part of the problem is on the demand side: According to the Bureau of Labor Statistics, half of all new jobs projected to be created between 2012 and 2022 are jobs that typically don’t require any post-secondary education; jobs that require some post-secondary training tended to have higher median wages ($57,770 in 2012) than jobs that require only a high school education or less ($27,670). The reality is that the nation is creating low wage jobs to replace the higher wage jobs lost during the recession, continuing with reports just this month of a decline in a variety of manufacturing indicators that suggests manufacturing job losses. At the low-wage end of the labor market are jobs that are part-time, or at least less than 40 hours a week of full-time employment, leading to a race to the bottom for many Americans. Leaving aside the fact that job training isn’t going to jump-start an economy that is offering increasingly fewer and worse options for workers, President Obama’s request for a review of what works is legitimate, though one would think it could be more easily obtained through means other than a blue ribbon task force. The first hurdle Biden will have to face is the fact that there is a good deal of confusion in the federal job training environment, with some of these 47 programs continuing to exist in the face of evidence that they are costly and redundant. In working with the Republicans on his task force—and he will undoubtedly recruit some—Biden will have to deal with calls from conservatives for consolidation, as evidenced in a recent editorial from the Wall Street Journal that cited not only the GAO studies, but the SKILLS Act passed by House Republicans that would consolidate some 35 federal job training programs. Most levelheaded people could hardly complain about rationalizing the job training bureaucracy, but simplified and consolidated programs don’t automatically lead to programs that work, just programs that are easier to administer. To give him his due, the president is—or ought to be—looking for programs that really work for people whose spates of unemployment are growing longer and often more hopeless. 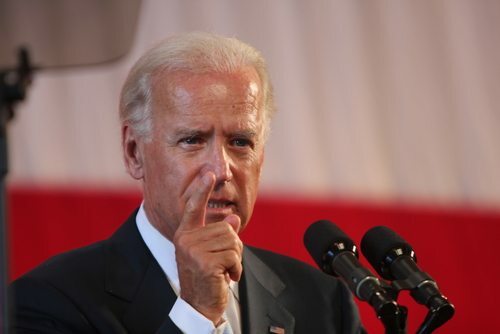 Biden himself will be no defender of ineffective programs, according to his former economic advisor, Jared Bernstein, and as the president knows better than most, Biden’s tendency for being candid and forthright might be just what is needed to clean out some of the job training chaff. Even there, it would seem like Biden would be better served in restructuring the federal job training bureaucracy by seeking guidance from the users—the job training and job placement nonprofits that live, eat, and breathe making these federal programs work even when their designs may be in the style of one of Rube Goldberg’s contraptions and their implementation hampered by congressional nickel-and-diming appropriations. So here’s a suggestion for the Vice President: If you want to get the best possible advice on the job training programs that work, the ones that meet the needs of both employers looking for employees with skill sets and of job seekers who are looking for work, convene the nation’s best locally-focused job training nonprofits, put their leaders in a room, and have them hammer out the elements of the programs that really work based on their on-the-ground experience. Pull in the likes of Project Quest in San Antonio, Focus: HOPE in Detroit, Manchester Bidwell in Pittsburgh, the Center for Employment Training, the Henry Street Settlement in New York City, YouthBuild headquartered in Somerville, Massachusetts, and any number of others that have the real life experience of working with people in need of employment and employers in the process of recruitment. One of Joe Biden’s most impressive qualities is his ability to relate to real people; he doesn’t live in the world of arms’ length abstractions and he’ll resonate with what these nonprofits have to say. Their stories about what works ought to dominate what his task force might or could produce. The other practical element of his task force ought to be resources. For all the talk about inefficiency and duplication in the federal government structure of job training programs, ideas without money are non-starters. It doesn’t take a task force to figure that one out. The model is at the state level. There are several governors who are putting real money into specific job training initiatives, and the governors are from both parties: Kentucky’s Steve Beshear with “WorkSmart Kentucky”, Tennessee’s Bill Haslam with his “Tennessee Promise” proposal of two years of free community college or technical college for all high school graduates, Minnesota’s Mark Dayton’s proposed expansion of the Minnesota State Community and Technical College, Iowa governor Terry Branstad’s call for an Iowa Apprenticeship and Job Training program, Dannel Malloy’s proposal in Connecticut for reauthorizing and expanding state job training coupled with a five-week “job readiness” initiative, and others. It would seem that community-based, regional, and national nonprofits in the job training arena have programs that have been field-tested over time with evidence that they work. At the state level, governors from both parties are putting real resources into job training programs that don’t seem to require the blessing of blue ribbon commissions for ideas. Vice President Biden could take these pragmatic nonprofits and governors and design programs that ought to work—and, with his personal touch, get support from both sides of the aisle in Washington. What’s to stop it? The president’s actual memorandum authorizing the task force isn’t quite that innovative in terms of simply convening the best nonprofits and the best state programs for some solid head-knocking around pragmatic job training program design. Rather, it has a little of the feel of a traditional federal commission, calling for an action plan to be generated by the National Economic Council, the Domestic Policy Council, the Council of Economic Advisors, the Office of Management and Budget, and the Departments of Labor, Commerce, and Education “to make the workforce and training system more job-driven, integrated, and effective.” Among the president’s expectations of the task force are steps to make the federal job training system more easily accessible by employers and job seekers, more accountable for positive outcomes, and more focused on providing training for skills with job-market value. In calling for the task force to engage in consultations, the memorandum lists among the possible groups to be consulted “economic development organizations, worker representatives, education and training providers, workforce leaders, and relevant nonprofit organizations” (emphasis added), without explanation of why nonprofits alone needed the “relevant” qualifier. The memorandum is full of references to employers and industry or employers’ associations, but includes only two references to “worker representatives,” shying away from using the word “unions.” State government leaders get one mention as a category to be consulted. The productivity of national task forces and blue ribbon commissions in recent years hasn’t been overwhelming. Who and what gets predetermined for inclusion or exclusion often dictates lackluster results. Vice President Biden deserves the opportunity to make this job training task force something more than an exercise resulting in a mammoth, glossy shelf report—that is, if the president is serious about encouraging both executive and legislative branch action at the back end. Tell us (and through us, Biden) which nonprofit leaders you would put on a job training task force to explain to the convened federal agencies what works and what doesn’t in “job-driven” training programs. Tell us who and why. And then tell us about the innovative state and local government programs you see occurring in your communities and why they seem to be working. We’ll compile your responses and make a suggestion to Vice President Biden: Make the job training task force work by drawing on the best and brightest nonprofit minds in the country who on a daily basis make real, practical job training a success for job seekers.